This post is sponsored by Chiropractic Company – Oconomowoc. Are you kids going crazy at your house? It can be hard sometimes due to the weather, hot OR cold, to find some indoor play fun. I love taking the kids out to go explore the Lake Country area, Waukesha County and even Metro-Milwaukee area and find the most kid friendly businesses and letting everyone know about them. This is definitely a perk of being Mom, I get to play too sometimes 🙂 What’s life without any fun? Am I right? Scroll down to find 30+ places for indoor play! Whether it is the cold weather you are trying to escape, or the heat that is making you run for shade, this is the guide for you for fun in the Lake Country and Waukesha County area. Please visit each website to find when they have open play times, and their hours. Plus, follow the links to our INSTAGRAM to see the fun we had while visiting these places! Chiropractic Company is a family chiropractic office located in Oconomowoc, WI; offering treatment for a variety of conditions in addition to wellness and lifestyle care. Drs. 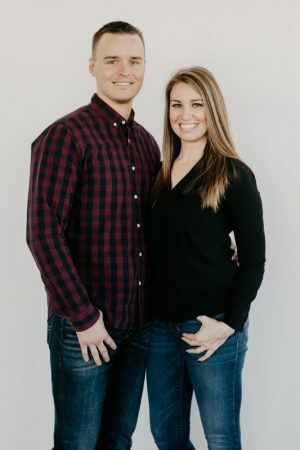 Bradley and Vanessa Fritz welcome your entire family for care at their location. They are a kid-friendly practice with additional training in pediatric care! Click here for more details. 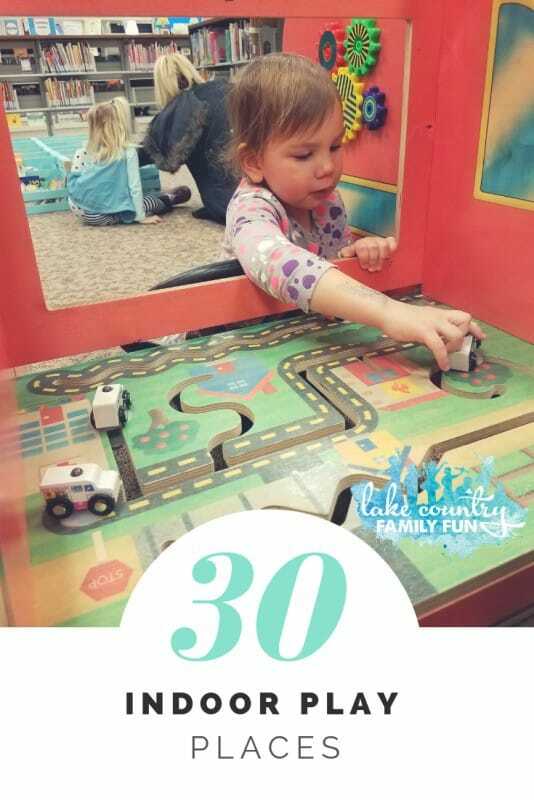 HERE IS LAKE COUNTRY FAMILY FUN'S GUIDE TO THE BEST OPTIONS FOR INDOOR PLAY IN THE LAKE COUNTRY AREA, WAUKESHA COUNTY AND METRO-MILWAUKEE! This water park is fun for all ages! Be on the lookout for special deals on Mondays in the spring months. This is more than a swim school. They offer family swim hours! Check their website for details on the dates/times of family. Follow them on Facebook to stay in the loop. Swimming and Rockwall fun, as well as the play room! Swimtastic Swim School holds open swim times at prescheduled time-slots each week, primarily on weekend afternoons. There are five locals YMCAs that that also have indoor activities and swimming open hours for kids and families (Waukesha, Tosa, Mukwonago, Greenfield and Menomonee Falls). Arrowhead’s Pool has open swim hours listed on their swim calendar with admission of $3. Open gym times are available at this gymnastics gym in downtown Oconomowoc. Check out our fun at Gymlingo on INSTAGRAM. With three locations (Oak Creek, Franklin and Hartland) it is an easy drive to let the kids have a great time. They have open gym times for kids in preschool and even a school aged open gym. With locations in Waukesha and Brookfield, it is a great place for not only lessons but also for their Open Gym Tiny Tot times which vary by season. Open gym is available to all children from walking to 6 and children must be accompanied by an adult. Fee is $5 for non members, $3 for members. With over 2,000 square feet of gym space Heat Athletics located in Sussex, WI hosts open gym times. See their website for details on ages, dates, times and fees. Located in New Berlin, M&M offers open gym times. For details on ages, dates and fees, click on their website for more info. Located in Brookfield, Wildcard offers weekly open gym times. $10 ages 7 and up, $5 ages 6 and under. Check website for dates/times. With open play, laser tag, arts and crafts, trains, music and more your children will sure to have a great time here. Your kids will love this children’s museum, there is different stations to excite creativity in your little ones. Don’t miss the PIRATE SHIP! Check out our fun at The Children’s Play Gallery on Instagram HERE and HERE. The kids want to play at a playground, but inside? This is the place for your kids. The Lotza Fun Room in Muskego provides an exciting and enriching play experience for children ages 5 and under. Play in their indoor showroom! See shows about outer space and astronomy. Be sure to also visit the animals down the hallway in the Retzer Nature Center Visitor Center. Visit the Indoor Playgrounds at your Local Chick-fil-A. Two locations in Waukesha County. Visit the Indoor Playgrounds at your Local McDonalds. Waukesha Meadowbrook location and Sussex County Road J have indoor playplaces. This indoor sports complex located in Oconomowoc has after school and weekend hours for bigger kids/teens to enjoy. There are options for even the smallest of kids here to bounce the wiggles out at Monkey Joe’s in Waukesha. Ice skate all year long at this indoor arena in Delafield! When the lights go out, this place is just getting started. Two different rooms give you two different experiences. Located in Brookfield, WI. The area’s newest attraction. The kids will literally be bouncing off the walls here! Right off of HWY F and 94 in Waukesha. If rock climbing is your thing, this is your place! There are lots of options for climbers of all ages. Located in Brookfield. With their trampolines, basketball court, foam pit and rock wall can you really go wrong? Located in New Berlin. Lasertag Adventure in Waukesha has specials and events almost every day! Premium indoor speedway for Go Karts located right off 94 in Waukesha. Open 7 days a week, see website for details and pricing. In the summer there is a bounce yard, but inside there are so many options, there is even a water table for the little guys! See our birthday party fun at StoneFire Pizza Company HERE. Located in New Berlin. This restaurant located in Hartford is worth the drive. Daily specials and great food PLUS a massive GAME ROOM – newly remodeled 5,000 square foot, 2 million dollar game area has added dozens of new games, new prizes and low prices. Point Burger Bar in Pewaukee has a huge arcade for fun games for the whole family. The burgers are a great treat as well! Also, we LOVE to play at local libraries. We’ve been branching out since we INTERVIEWED ALL THE WAUKESHA COUNTY LIBRARIES in February 2017. Find the list of Waukesha County Libraries HERE. Your kids will love this children’s museum, there is different exhibits to excite creativity in your little ones. My kiddos love the MPM! The butterfly room is a favorite as well as the Streets of Old Milwaukee. Check out our butterfly fun at the MPM on INSTAGRAM. There is so much to learn! Get your kiddos into science right on the beautiful shores of Lake Michigan! Even at 35 degrees, the Lake Michigan lakefront is so beautiful 😍 We loved exploring @discoveryworldmke this morning - especially the fishies!! 🐠🐟 How is everyone’s Saturday going?! Located in Milwaukee, this is a hopping place. There are plenty of inflatables, and games to keep the kids busy. Milwaukee’s newest indoor play arena offers, bounce houses, laser tag, rock climbing, games and more! This play cafe is ideal for children up to 6 years old. Young kids will love the imagination inspired play. Looking for more wintertime fun? Check out our HOLIDAY FUN GUIDE and WINTERTIME FUN GUIDE. Check out our FREE SUMMER FUN GUIDE and our 77 THINGS TO DO THIS SUMMER GUIDE.